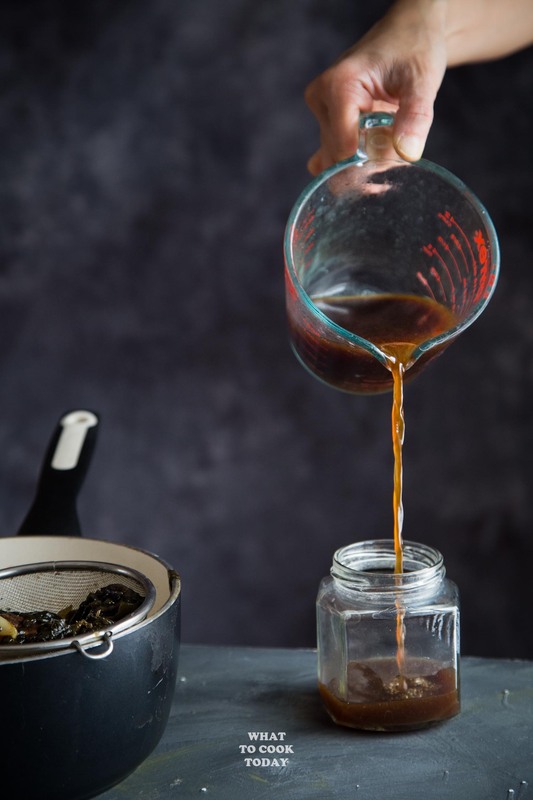 How To Make Vegan Fish Sauce – Learn how to easily make vegan, gluten-free version of fish sauce, a quintessential ingredient in the Southeast Asian kitchen. 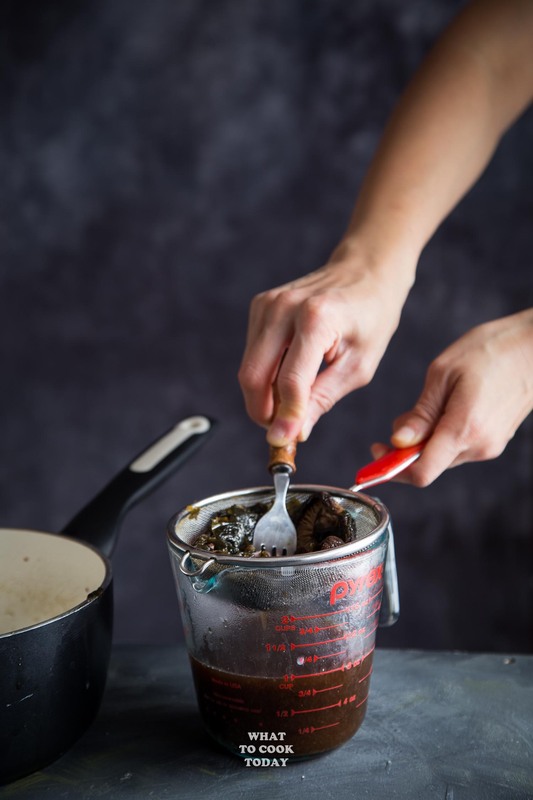 Many of the Southeast Asian recipes, especially in Thai, Vietnamese, Cambodian, Laos, and Burmese cuisine, use fish sauce as one of the ingredients. Not so much in Indonesian recipes (if at all), Malaysian, and Singaporean cuisine. The latter three countries use more of shrimp paste, which is also another umami boosting ingredient. Back to the fish sauce people!! WHAT IS VEGAN FISH SAUCE THEN? Wakame is edible seaweed which is widely used in Japan and also in another Asian country like China. Available widely in Asian grocery store and health food store. Wakame almost mimic that “fishy” (or probably I should say “ocean” aroma) aroma, which is why it is used in this recipe to mimic that of non-vegan fish sauce. It doubles or triples its size once hydrated. They are available in dried or fresh form. 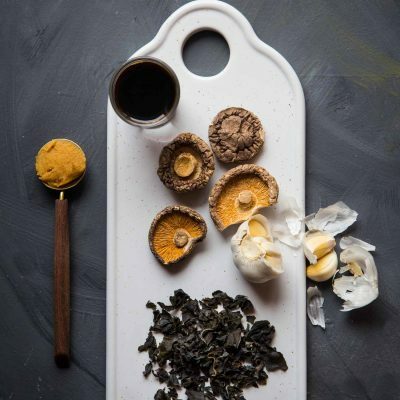 This recipe calls for dried shiitake mushrooms. They are used in cooking all over Asia. Shiitake mushrooms give the vegan fish sauce its pungent umami flavor. Tamari is also a soy sauce but has little to no wheat in it, which is perfect for those who are avoiding gluten. It has richer flavor compared to soy sauce. I actually like tamari better than regular soy sauce. They cost more to compare to regular soy sauce. You can use regular soy sauce for this recipe too. Tamari/soy sauce is the main contributor of saltiness in this vegan soy sauce. 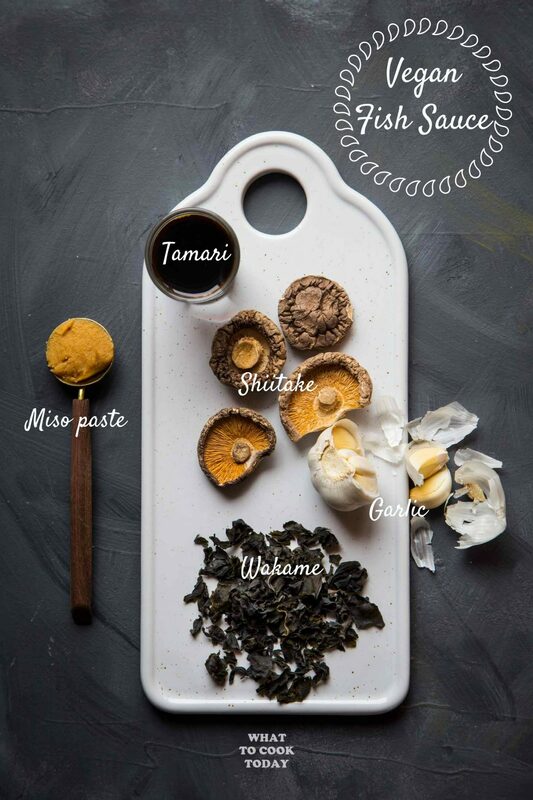 You are most likely not new to miso paste anymore. In case you are, it is basically the Japanese version of fermented beans. Typically made with soy beans and sometimes grains like rice or barley. 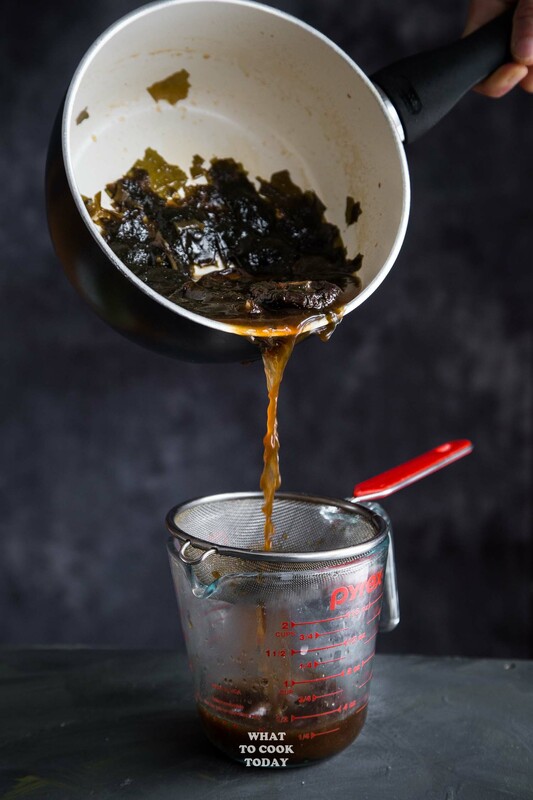 It is used in this recipe to add that hint of fermented aroma to the vegan fish sauce. DOES VEGAN FISH SAUCE TASTE THE SAME AS REGULAR FISH SAUCE? Not exactly the same if you ask me. 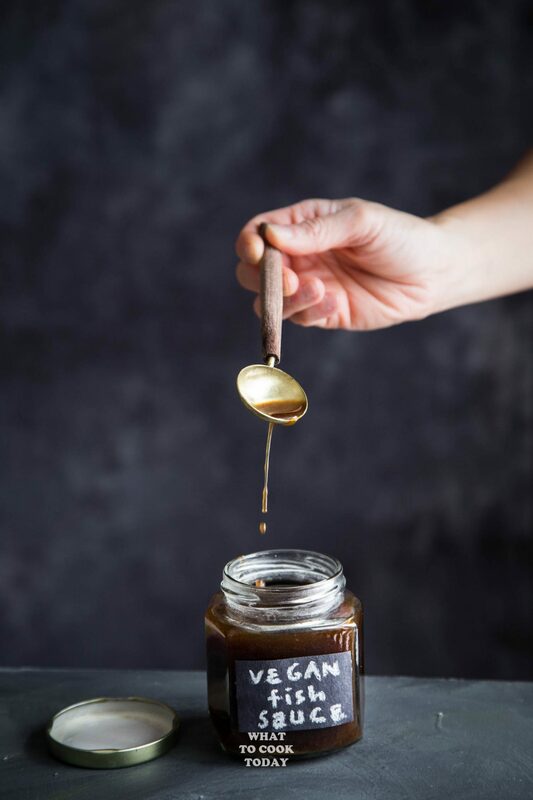 But it does do a great job in giving that umami boost and intense flavor that we are looking for in the regular fish sauce. I guess it can’t be exactly the same when the ingredients used to make both are different. I like the taste of vegan fish sauce to! WHAT CAN I USE THIS VEGAN FISH SAUCE FOR? 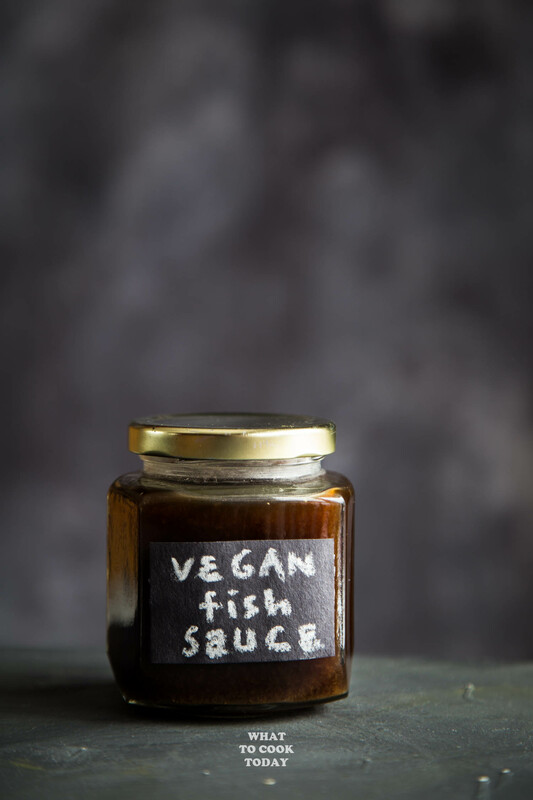 This vegan fish sauce can be used to replace pretty much any recipes that calls for regular fish sauce. They can be used in soup, in dipping sauce, in stir-frying, marinating, etc. This recipe is adapted from the Kitchn with some modifications. This is amazing! Never thought about it! Perfect! Thank you for the idea! What a good sauce to have in one’s repertoire. I bought some wakame for a recipe quite a while ago and didn’t know what to do with it anymore, this is a good way to use it. Yes. Especially if fish sauce is hard to find for some people.